Hello and welcome to my about Liz page, where I endeavor to share a little about who I am and why I started this web-site. Its now in its tenth year on the web! My website Healing-Crystals-For-You.com is about my commitment to being of service to everyone who is looking for healing and who loves crystals. If you want to use your passion for crystals to heal yourself or to develop new gifts then this site is for you. I endeavor to give you tips and ideas to help with this on every page I write. I am enthusiastic about using any natural methods to improve your health, including using both crystals and natural healing methods to make a difference in your life. My passion is to discover all I can about how to use the amazing power of the mind, and I recognize the importance of reading personal development books and books about healing. I have a strong interest in books that aid you to take action to make a difference in your own life, like the wonderful Abraham Hicks book "Ask and It Is Given" below. Along the way, I have been helped by many people, so to all those people who have helped me over the years, I wish to thank you for your advice, assistance and support during this time. By the way in case you are wondering about the parrot above and why its there? It was a gift from my daughter Belle, who along with her sons is an important part of my life. It has been and is still wonderful to be able to be the conduit to aid others to heal, and I am grateful for the healing that I also receive from Spirit while doing crystal healing. It's amazing! Using crystals in your daily life is extremely valuable, and my website is aimed towards helping as many people as possible learn more about how crystals can be used every day to improve your life. It is my intention to mainly discuss crystals that I have a personal experience of using, and I have an enormous crystal collection that I use regularly. Although I do have healing qualifications I feel my passion for crystals is by far my most important credential. The topics I cover on this website are, as far as possible, based on my own personal experiences. 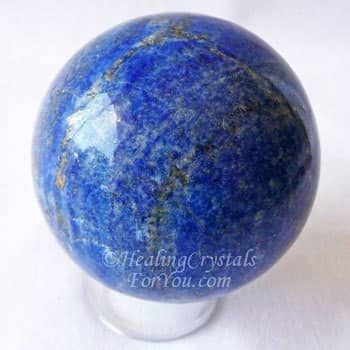 All of the articles on this site are written by me, but I have to add a caveat in here, as I have a section on this site where you can Share Your Crystal Story with everyone that comes to this site. This is where you the reader can write your own page, and these pages are of course not written by me! I am passionate about crystals and also about natural healing and I am the founder, writer, chief editor and all round solver of issues that come up on this site! I have a large and diverse collection of crystals, because as soon as I read about one I have not seen before, I look around for it and see if I can acquire one. 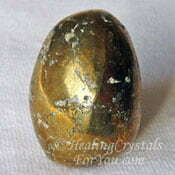 My experience using crystals, both in my personal life and in my healing, has made me aware of their power and efficacy. 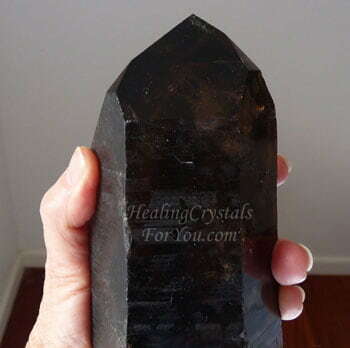 The beautiful Dow Smokey Quartz, shown above, was a crystal formation I had been looking for, and it actually called to me to come and get it. I woke up one morning and its image was in my mind, and it made me aware that it was waiting for me, and told me where to go to get it. Very interesting experience! There are so many ways you can receive information, including having your guides communicate information to you, or the strong power of intention, along with the Laws of Attraction in action. The amazing power of coincidence, serendipity and synchronicity does actually work, but often other aspects come into play to boost its effectiveness. I was happy that whatever the reason, I was made aware of where to go to get it. That day I was able to not only get this lovely Temple Heart Dow, but I also found quite a few other quartz configurations that I wanted to add to my collection. I often find that the way that coincidence works in my life creates the circumstances and the knowledge of which crystals I need for my personal healing. Then by having a predominant mental attitude of confident expectation, they come to me. Have you ever wanted to start your own website but were not sure how or where to start? If you had told me a few years ago that I would have a highly successful web-site I wouldn't have believed you. In case you didn't know I am Australian, and actually I believe that Aussies are not that different to those who live in other English speaking countries, other than our slightly different accent! Before starting my website, for many years my working background was in the corporate world, working in various accounts roles, until I decided it was time for something new. 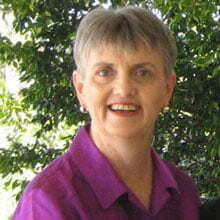 In 2006 I started to work for my husband who was a realtor, or real estate agent as it is known here in Australia. I obtained my real estate license and worked alongside my husband in real estate sales. This allowed me more flexibility in my work as I worked for him part-time, and I was able to make time to develop my healing (see more below). My work as his part-time assistant meant I spent time speaking with the public. I began to see more and more that there are a lot of people in the world who need help, but who will not approach anyone for this help. At that time I also noticed that a great many people who rang us found us on the internet, so I wondered about building a web-site. I didn't have any idea about how to begin building a web-site, until one day the Law of Attraction brought the answer. I had a great desire to start a web-site, so that I could both share my passion for healing with crystals as well as make an income by doing something I really loved doing. My husband was googling in 2009 and found the information about SBI which started me moving in the right direction. 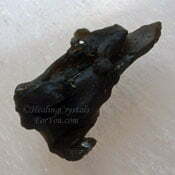 So I decided to start this web-site through SBI also known as Site Build It, about using healing crystals. I am happy to work every day doing something I love, while also being able to help people to get the information they need more easily by using my website. My move to a more spiritual approach to life started when a friend introduced me and my husband to a course on meditation. We bought a guided meditation course and began to meditate regularly. Both my husband and myself found that it improved our life immensely, and I particularly noticed that my spiritual development moved forward from this daily practice. I regularly made contact with Spirit and my guides, and around this time I started to use and buy crystals, and use them every day as part of my daily meditation with crystals. The first training that I did in any type of healing was learning to do Reiki. I was looking for the next step in my life and asked my guides during meditation what I should be doing. The word Reiki came clearly though to me, clairaudiently. I had never heard about Reiki before so I went to the library to do some research and was led to an ad in a magazine for a Reiki course. It was about seventeen years ago when I discovered Reiki, and over time I did three different levels. Reiki is a wonderful system for self transformation, and expansion of consciousness. This is a gentle healing modality, that channels pure Universal Life Force Energy through the hands. At each level the amount of energy is expanded, and the vibration of the practitioner is increased. This was the start of my interest in healing, and over the years I have attended training in quite a few different healing modalities, as learning about healing methods is one of my passions. One of the courses I first trained in was Transference Healing® where I trained in all levels of the modality including doing the teacher training. Using this modality to aid the healing of others started my interest in metaphysical healing. 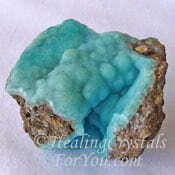 I also started to learn more about using crystals and crystal remedies to aid healing. While I was happy to do healing and to teach others on a one to one basis, it was at this time that I started my website, so I could share what I had learned with others, and reach people more easily. In 2013, around four years after my website was up and running I decided it was time to do more training and this time I decided to do a course on using crystals for healing. I trained with Simone Matthews from Universal Life Tools, first doing her "Essence of Angels course" then later I attended Crystal Light Healing® through to teacher level. While I enjoyed doing these courses and learned some new and different ways to use crystals for healing, I was still aware that the way to reach the greatest number of people was through my website. I am grateful that I can work with crystals on a daily basis and I am still excited when I get a new crystal I have not seen before! Writing about crystals is a pleasure but having a website involves quite a bit more than writing. Since I began this site in 2009 I have learned a lot about the web and I now know enough to fix many site issues that come up. But it is reassuring that there are a number of excellent web experts at SBI, and a very helpful group of other webmasters on the SBI forums who are always happy to give advice when its needed. 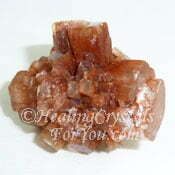 I am extremely happy that I am able to share my passion for crystals on this web-site. My website is a work in progress and I am adding information to my site regularly. So check back to see what's new, or if its easier 'like' me at Facebook, to keep abreast of what is happening. 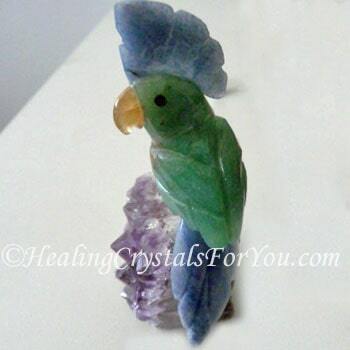 It is my desire that by sharing my knowledge of healing and information about healing crystals and how to use them, that I am able to assist you to make a difference in your life. If you have found that you like what you have seen here, and that it has benefited you, please support my site in whatever way you are able. My desire is that by using and wearing crystals, you may be blessed by the experience as much as I have been. "All the resources we need are in our mind." Theodore Roosevelt.